The No. 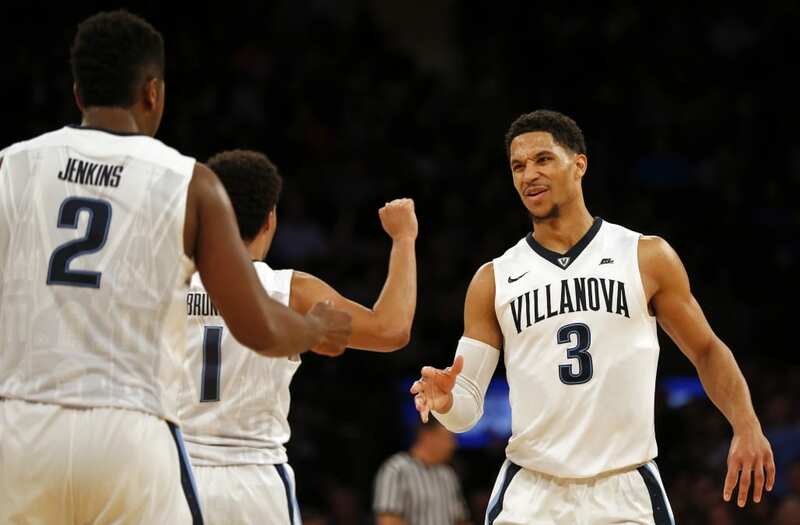 1 seed Villanova Wildcats (31-3) take on the 16th-seeded Mt. St. Mary's Mountaineers in the first round of the East Region. The game will be played at the KeyBank Center in Buffalo on Thursday. Tip is at 7:10 p.m E.T. Preview: Villanova clinched the No. 1 overall seed by virtue of winning the Big East regular and postseason championships. They also have quality non-conference wins against Notre Dame, Purdue, Virginia and Wake Forest. The Wildcats lost twice this season to Butler and once to Marquette. They are led by senior guard Josh Hart (18.9 points, 6.5 rebounds per game), a national Player of the Year candidate. Jalen Brunson (14.8 ppg) and Kris Jenkins (13.4 ppg) aren't bad supporting actors. Mt. St. Mary's made it to the Big Dance by winning the NEC regular and postseason championships. They beat St. Francis (Pa.) 71-61 in the NEC Championship game and then outlasted New Orleans 67-66 in the First Four on Tuesday night. Five-foot-five-inch Junior Robinson paced the Mountaineers with 23 points in the win over UNO, while freshman guard Miles Wilson added 17 points and 11 rebounds. Location: KeyBank Center in Buffalo, N.Y.
Villanova is the tournament's overall No. 1 seed, and the defending national champions. Perhaps you saw how they won it all last year. This year is the fifth NCAA appearance for The Mount, and they picked up their first ever Big Dance win on Tuesday. Prediction: Kudos to Mt. St. Mary's for winning the play-in game but their run ends here. It will be an easy win for Villanova come Thursday. The post No. 1 Villanova vs. No. 16 Mt. St. Mary's Preview: Game Time, Broadcast, Betting Line, Prediction appeared first on The Spun.